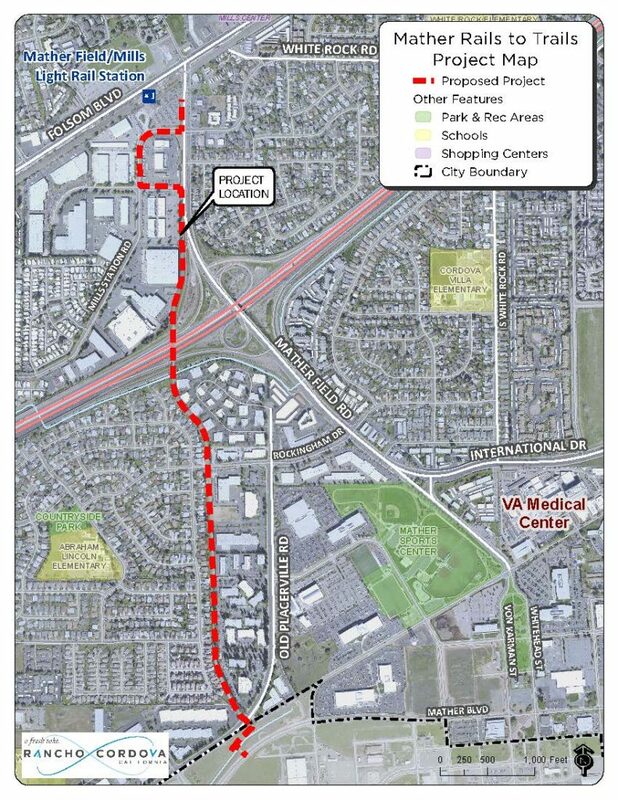 In January the City of Rancho Cordova broke ground on the Mather Heritage Trail along the former rail line running between Folsom Blvd. and the former Mather Air Force Base (now Mather Airport). 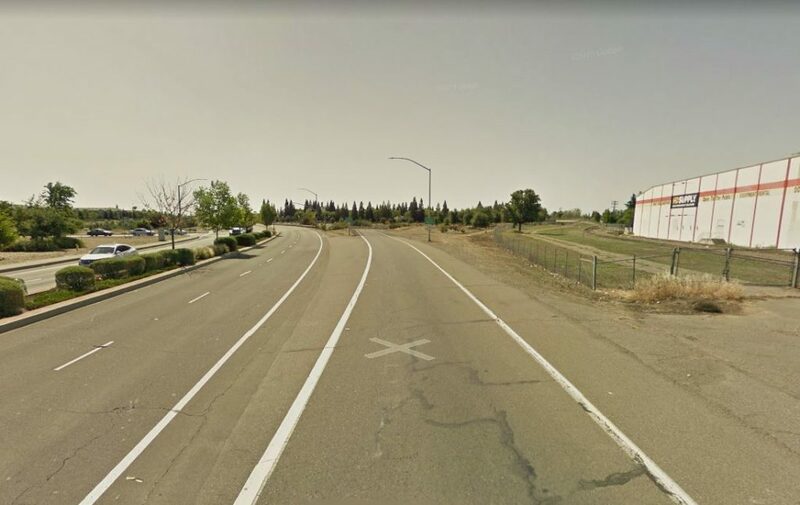 When it opens this fall, the 1.25 miles of walking and biking path will serve as a new, car-free connection over US-50 in a community divided by the freeway. For people on bikes, the ride on Mather Field Road currently requires merging across entrance and exit ramps to US-50 where traffic typically travels well over 50 MPH. There are no bike lanes and no marked crossings at the ramps, and also no sidewalks on the west side of the road — all significant deterrents to biking and walking. SABA had a role in finding the seed money for the trail. In 2009, a coalition of neighborhood and environmental groups that included SABA successfully sued Caltrans for failing to adequately assess environmental impacts of proposed HOV lanes on US-50. In addition to redesigning the HOV lane project, Caltrans agreed to provide $820,000 for the Mather Heritage Trail. Residents who live next to trail projects like this one often worry about the potential impacts on safety, property values and privacy. 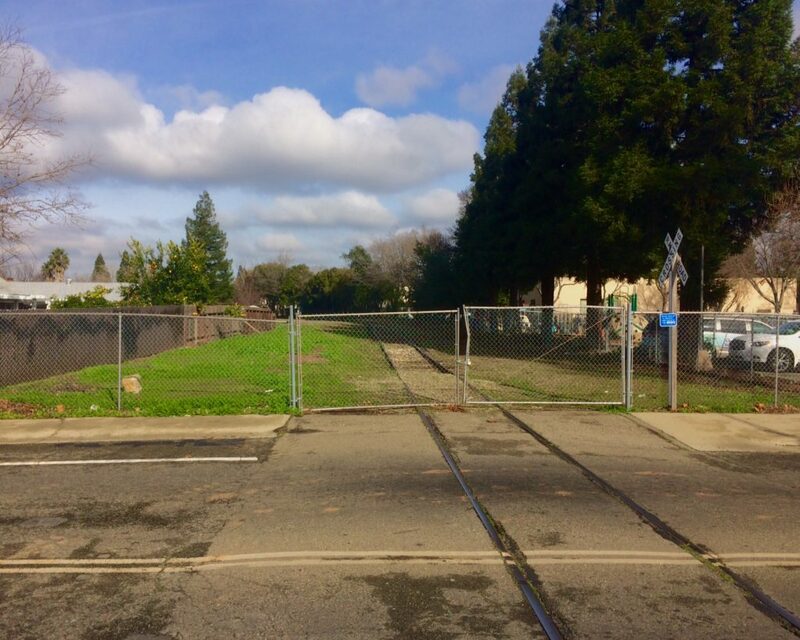 With this project, however, neighbors welcomed the trail as a way to address what they saw as a safety hazard from unauthorized camping along the abandoned, fenced-off rail line. They recognized the value of bringing legitimate activity into the area as the way to make it safer for more people, a basic principle of what’s known as crime prevention through environmental design. Multi-use trails are beneficial in many ways, especially for the health of trail users and the overall livability of surrounding neighborhoods. Those benefits extend to the entire community, including people who won’t or can’t use the trail, by reducing traffic, improving health and improving air quality. 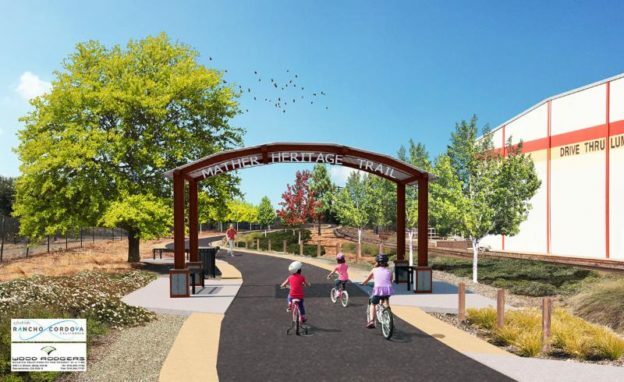 The Mather Heritage Trail leads north to the Mather-Mills light rail station, providing a direct, comfortable, car-free way to reach to public transit, another way that trails can help get people out of cars. This entry was posted in Blog on April 4, 2018 by SABA.